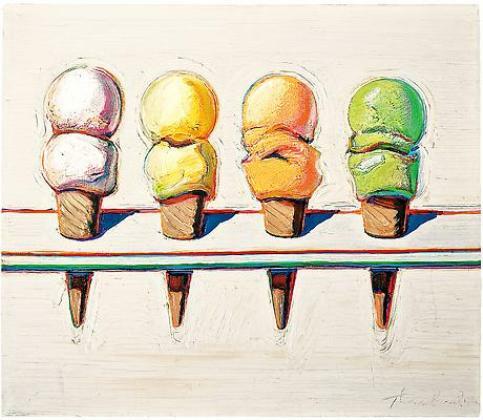 Wayne Thiebaud’s most recent retrospective is currently on view at the Acquavella Galleries in New York. The exhibition is organized into different rooms under the simple headings, ‘places, people and things’, which express the fundamentals of his landscapes, figures and still lifes. Theibaud was born in 1920 in Arizona and began his career as a cartoonist at a very young age, seeking numerous ventures to help him on his way; he undertook a summer internship with Walt Disney Studios and during World War II he practiced as an air force cartoonist. 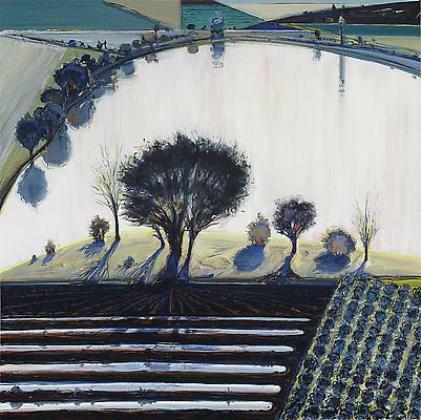 What astonishes viewers, and is almost unique to Thiebaud, is the consistency in his work over the last sixty years of his practice. He has remained true to his illustrative nature and choice of common yet sentimental subjects that define him. The exhibition does not impose any kind of formality or hierarchy among each of the rooms — a painting from the 60s could quite easily be mistaken for a painting that was completed only this year. 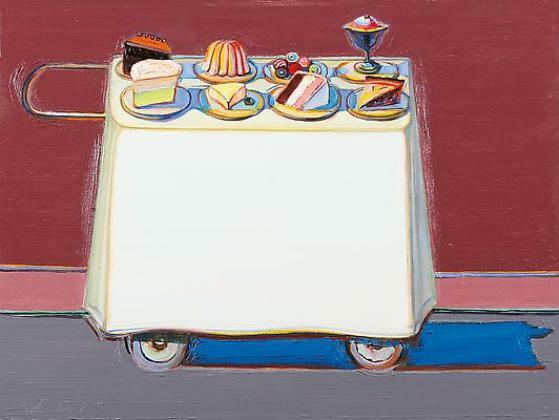 In 1994, President Clinton awarded Thiebaud the National Medal of Arts for his long term commitment to this unvarying and defining practice. 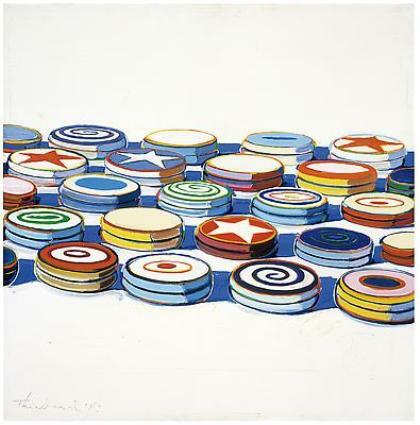 Thiebaud’s still lifes are the stuff of childhood fantasies: cakes, ice creams, gumball machines and the like. 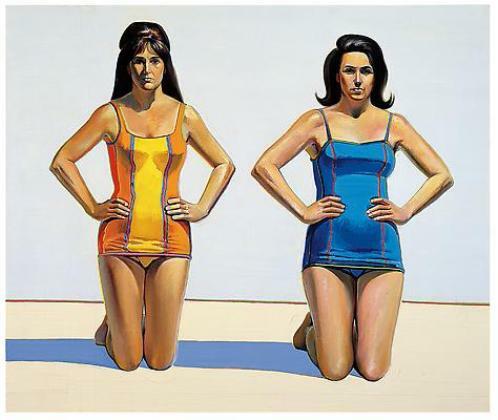 They combine mass culture and nostalgia with American childhood iconography; thus his work has traditionally been classified as part of the Pop Art movement. Perhaps ostensibly more banal than Andy Warhol’s superstars such as Marilyn Monroe, the spatial tension, texture and saturation of Thiebaud’s paintings somehow go beyond what is regarded as Pop Art, and one can certainly argue an affinity to Diebenkorn and West Coast Abstract Expressionism and other Bay Area painters, or even fauvism. Albers’ color theory comes to mind, as do the still lifes of Giorgio Morandi. Although not as chaotic or tense as work by his New York contemporaries such as de Kooning, there is undoubtedly a wistfulness that we do not see in the West Coast variety; arguably an influence of his time spent in the city in the 60s and 70s. 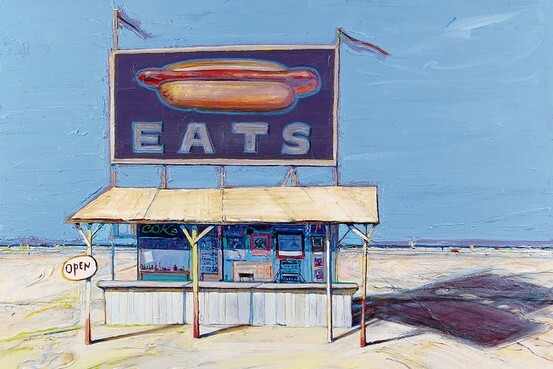 The cream on cakes and ice cream on the cones served as inspiration for the artist’s technique as well as providing him with a subject matter. The thickness and naturally-produced patterns and textures within the canvases, small or large, are very tactile. He paints his still lifes with dashes and globules of oil paint that build the surface up to a degree of accuracy whereby the paint itself almost looks edible. Opposed to his heavily-saturated works, Thiebaud’s landscapes of San Francisco, his Sacramento panoramas and his Californian mountains are much more sketchy and often created through line drawings rather than paint. The flatter appearance of the images, however, are compensated for by their slightly distorted perspectives. The almost bird’s eye view of some of the cityscapes depict San Francisco’s surroundings as a roller coaster of sorts, peaking at the crux of a road so high that the distance is invisible behind its hump. 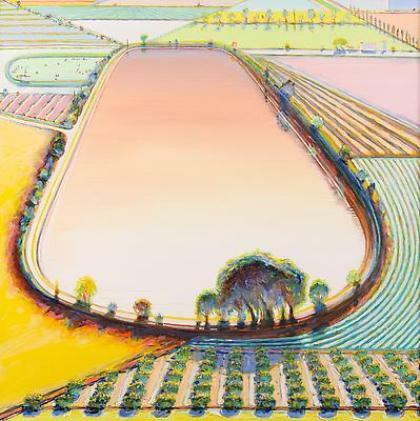 Much like Thiebaud’s still lifes, the habitat he creates appears consequently imagined and surreal – as though a child were exaggeratedly describing the landscape to Thiebaud as he was depicting it visually. In fact, a great number of the artist’s work possesses a level composition – or even a slightly lowered perspective – as if the onlooker must look up due to being physically smaller than the object. Curated by John Wilmerding, the exhibition includes paintings, works on paper and prints spanning the length of the artist’s career from the mid 1950s to today. It runs through November 30th, 2012. 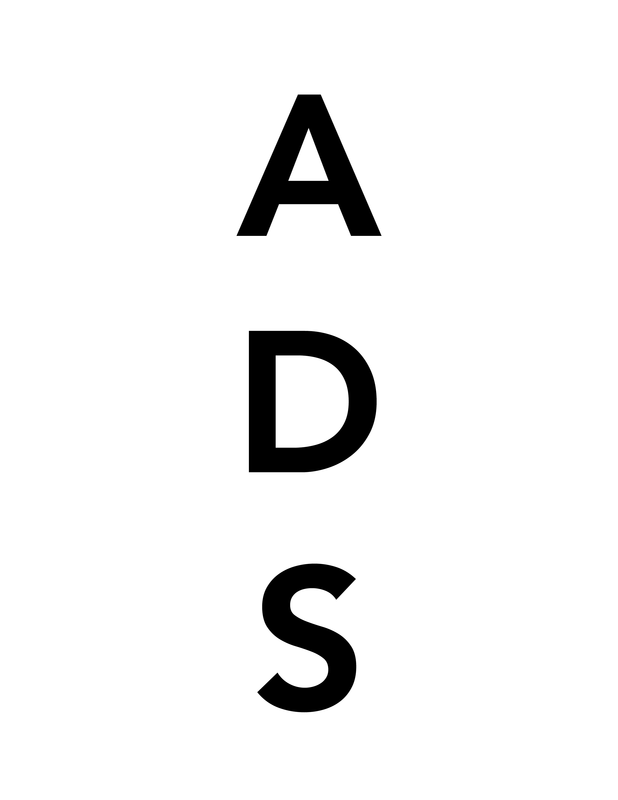 This entry was posted on Sunday, November 25th, 2012 at 9:44 pm	and is filed under Art News, Go See. You can follow any responses to this entry through the RSS 2.0 feed. You can leave a response, or trackback from your own site.